Goodbye, awkwardly cropped square photos! 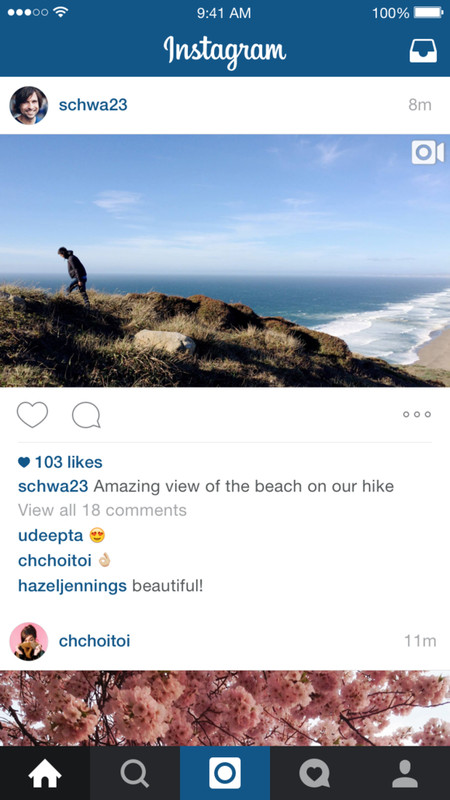 Your already-packed Instagram feed is about to get a little bit taller. Or wider. Or both. On Thursday, Instagram announced that everyone’s favorite photo-sharing app will now support posts in both landscape and portrait orientation, stepping away from the perfectly square limit that has defined Instagram since its launch. This expanded posting option will apply to both photos and videos, and you’ll select which orientation you’d like to use during the formatting process—similarly to how you choose a filter, you’ll now be able to choose to post in landscape, portrait, or the traditional square. Speaking of filters, Instagram’s latest update also unlocks all filters, making them available to use for both photo and video posts. Previously, photos and videos each had their own set of filters, but they’re now combined to give users more filter options than ever. You can also adjust the intensity of filters on videos—a feature that used to be limited to just photo posts. According to Instagram, all post formats will flow smoothly through your feed as full-sized photos or videos, but will be given a center-cropped square thumbnail when viewed in a profile grid to maintain consistency. The Eiffel Tower (and other tall landmarks) will really benefit from Instagram's new portrait mode. Why this matters: While Instagram’s square format works just fine for basic photo posts, this grid-like limitation doesn’t work for all types of photos—namely, shots of tall landmarks, wide group shots, and landscape panoramas. You could always crop the moment within the app, but that would often result in a so-so post. The workaround to this problem is a little clunky: Users could give non-square photos a border for filler within a third-party app and then export it to Instagram, but the photos often appear smaller in your feed. Instagram’s developers must have noticed this problem, too. “It turns out that nearly one in five photos or videos people post aren’t in the square format, and we know that it hasn’t been easy to share this type of content on Instagram: friends get cut out of group shots, the subject of your video feels cramped and you can’t capture the Golden Gate Bridge from end to end,” Instagram said in its blog post. Landscape photos and videos have a neat, clean look—just like square posts. Let’s face it: Most square photos are likely only captured that way just to make sure they will look nice on Instagram and other social media platforms. With this new option, you can post photos the way they were meant to be shown. Videos will also shine through in landscape orientation, giving viewers a wider scope of the full scene. Instagram version 7.5 is a free update, available now in the App Store and the Google Play Store.